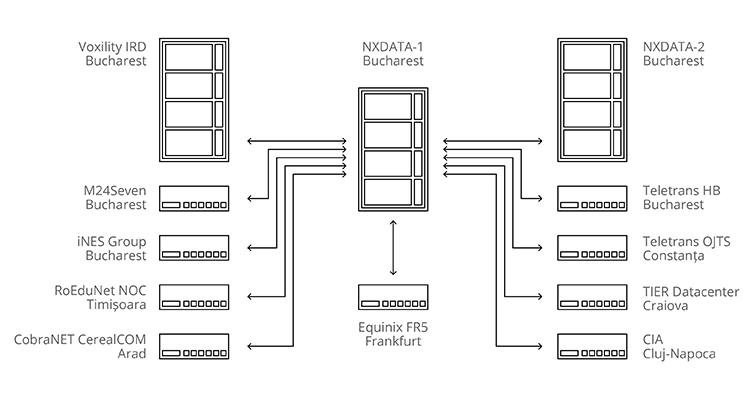 InterLAN Internet Exchange is a neutral national interconnection platform for data traffic and internet exchange, with national points of presence in Bucharest, Constanta, Timisoara, Craiova, Arad, Cluj-Napoca, and an international point of presence in Frankfurt, Germany. The infrastructure provided by InterLAN allows more networks to interconnect directly and to perform free traffic exchange. This leads to the more efficient use of each operator’s Internet access connections, determining a decrease in costs and an increase of the offered service quality. Through the InterLAN Internet Exchange platform, the aggregated traffic has daily peaks of over 130 Gbps. The aggregated traffic transited through the InterLAN platform in the last 24 hours. Fixed and mobile Internet access service providers, network operators, content service providers, social media platforms, educational networks, financial-banking institutions, internet domain name service providers, state institutions, mass-media institutions etc. are connected to the InterLAN. “The Internet Revealed” – A short documentary about Internet Exchange, created by Euro-IX. InterLAN Internet Exchange is a private company with Romanian capital entirely owned by the Interlan Association, a non-profit organization of Romanian Internet access service providers, headquartered in Bucharest. Starting with 2008 InterLAN is a full rights member of Euro-IX, the European organization of Internet Exchanges and starting with 2015 it is a full rights member of RIPE NCC, the regional manager of internet numbering resources for Europe, Central Asia and the Middle East. 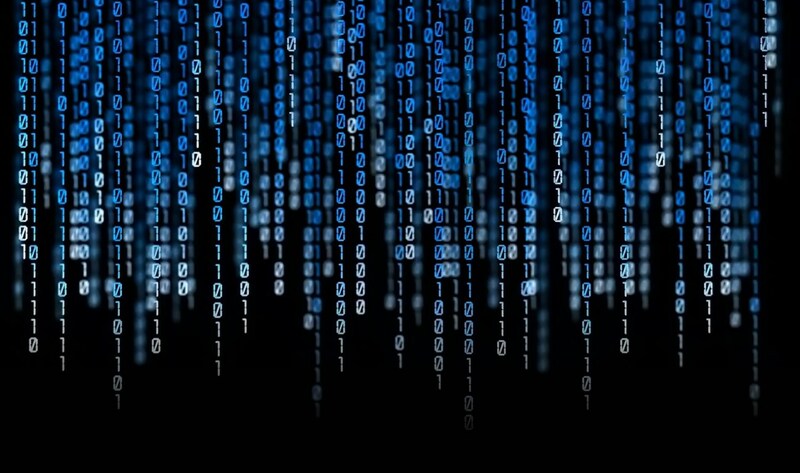 Through the Public Peering service, the entities connected to the InterLAN Internet Exchange platform can freely exchange data traffic through an infrastructure using the Ethernet technology and IPv4 and IPv6 protocols. To facilitate traffic exchange, InterLAN provides its partners with two route-servers allowing direct interconnection with most of the connected entities. The service is available in our partners’ data centers. Additional details about the conditions and fees for access to the platform can be obtained as indicated in the Contact section. The members of the Interlan Association benefit from access facilities. Private VLAN is a virtual network service provided between two operators connected to the InterLAN Internet Exchange platform. A virtual network (VLAN) is represented by a group of hosts that can communicate regardless of their physical location, as if they were on the same distribution domain. Technically, a VLAN is similar to a local physical network, all the while allowing stations to not be connected to the same network switch. This service can be assigned between two or several connected operators, giving them the possibility to use, aside from peering, the InterLAN infrastructure and to provide or receive services based on the IP technology. On the InterLAN Internet Exchange platform, there are Back-up Ports available to ensure redundant connections eliminating the risk of interruptions. Back-up ports can be assigned on the same equipment to which the base port is connected or on equipment in a different location. Virtual Patch is a complementary service giving an operator the possibility to use a VLAN between the peering port and one or several additional ports, assigned on different equipment. Thus, connected operators can use the InterLAN infrastructure to extend their service provision area. InterLAN Internet Exchange has national points of presence in Bucharest, Constanța, Timișoara, Craiova, Arad, Cluj-Napoca, as well as an international point of presence in Frankfurt, Germany. They are hosted in collocation centers (data centers) in which Ethernet switches are interconnected through 1 Gbps and 10 Gbps links, which together represent the InterLAN infrastructure. To connect to the InterLAN infrastructure, 100 Mbps and 1 Gbps copper as well as 1 Gbps, 10 Gbps, 40 Gbps and 100 Gbps optic fiber interfaces are available. The Technical Regulation is available here. DNS root-servers are name servers for the DNS root area of the internet, answering directly to registration applications and requests for the provision of the name server list with authority for the appropriate top-level domain (TLD – Top Level Domain). These servers represent a critical section of the Internet infrastructure because they are the first step in solving domain names in IP addresses used for communication between servers. The availability of the ports depends on the equipment installed in the collocation centers. 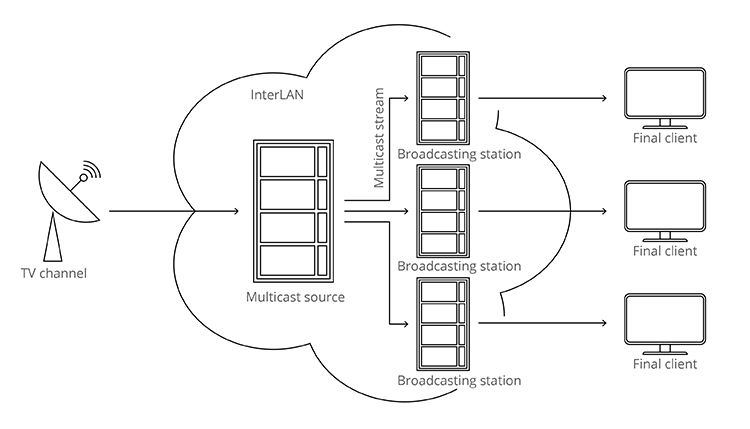 The TVX Platform (TV Exchange) allows entities connected to the InterLAN Internet Exchange to use connected ports for the transmission and reception of audio and video streams using the multicast communication protocol. Operators interested in receiving the multicast flows available on InterLAN must send a request to InterLAN at the e-mail address tvx [at] interlan.ro to which the retransmission approvals obtained from the content providers will be attached. Channel distribution on the TVX Platform is performed through a distinct VLAN. No additional operation fees are applied for this service. InterLAN team is always prepared to offer you information about our services. For any questions, do not hesitate to contact us. Romanian limited liability company (SRL) owned and managed by the Interlan Association, a non-profit organization of Romanian Internet access service providers.